Thank you for visiting the Free-Bullion-Investment-Guide's latest blog post, I hope that you and your family had a great week. Advancing Time - When Will Atlas Shrug? The Burden Of Global Debt! When I came up with the title of this week's post, I immediately thought of one of my favorite Korn song's – Freak on a Leash. So I looked it up and found out some interesting facts about the song that I didn’t know. According to the lead singer of Korn, Jon Davis, who wrote the lyrics to Freak on a Leash; the song's about how the music industry screws over artists for their music. He makes the comparison by stating that music artists are paraded around at the end of the music industry’s leash. Another thing I found out about the song, is that the lyrics 'You and I were Meant To Be' are not affectionate words, the next verse states this; see lyrics here. 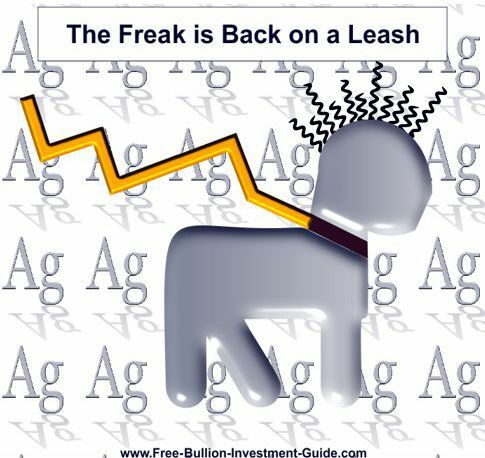 Korn's Freak on a Leash is a negative comparison, however, the comparison I’m making for gold and silver isn’t; it's a metaphor to explain silver’s “Trading” relationship to gold. Last week I posted the chart below to show this relationship. 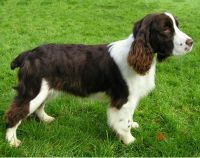 To call Freddie hyper would be an understatement, he had endless energy, and although he was one of the nicest dogs I’ve ever known, for a kid, Freddie was a freak on a leash. The points of these posts were based solely on silver’s trading relationship to gold, nothing else. Why? Because Silver Broke above its “Long Term Falling Trend-Line” last year, Gold hasn’t broken above its "Longest Term Falling Trend-line," yet. 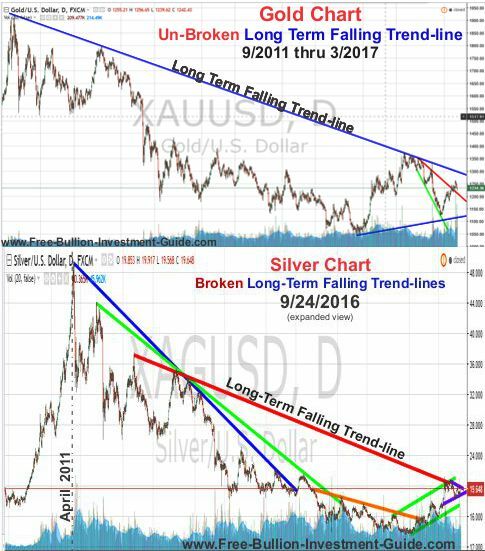 Silver broke it in July 2016, after the Brexit vote on June 23rd, the chart below is dated in September of 2016, when I did an overview of all silver's broken trend-lines. 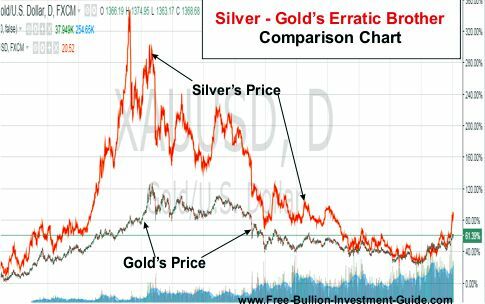 The next series of charts will show you how I was referring to Gold and Silver’s 'trading' relationship, in my last two blog posts. 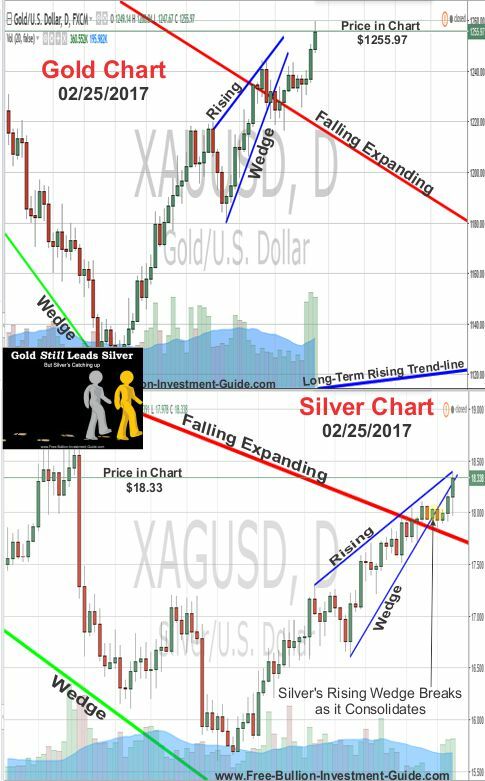 Below, are the silver and gold charts from the Gold Leads Silver post, in the charts you can see that both gold and silver have created rising wedges and that gold broke out of its wedge before Silver. In the next set of charts from Gold Still Leads Silver (but silver's catching up), you can see that silver breaks below its rising wedge, but that it is still is lagging a little bit behind gold’s trade movement. This week, gold's 'trade' is back to following silver. In the chart below, Silver is offering us a glimpse into Gold’s possible future movement this week. 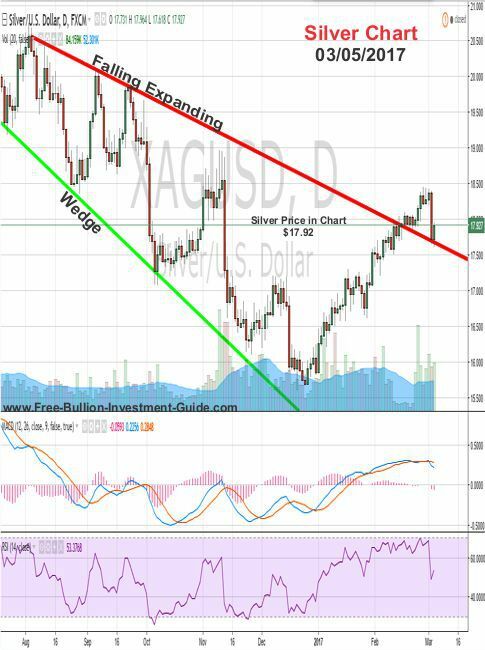 Silver fell in price late last week and is now trading along the top of the falling expanding wedge’s trend-line. Last week, several Federal Reserve officials, including Janet Yellen came out and said that they favor a rate hike on March 15th, which caused gold and silver to fall in price. This week, if we get more of the same out of the Fed, you can expect more of the same out of gold and silver. But, I’m expecting a quiet week out of the Federal Reserve, they’ve accomplished what they set out to do, to make traders nervous of a rate hike. I think the Fed officials will sit back and see what happens in the stock market this week; they’ll also be looking to see the results of February’s Jobs Report coming out on March 10th. All the ‘hawkish’ Fed speak makes me think that they clearly want the markets to calm down, but I think their call for rate hikes is a bluff, but I’ll take up that issue next week. 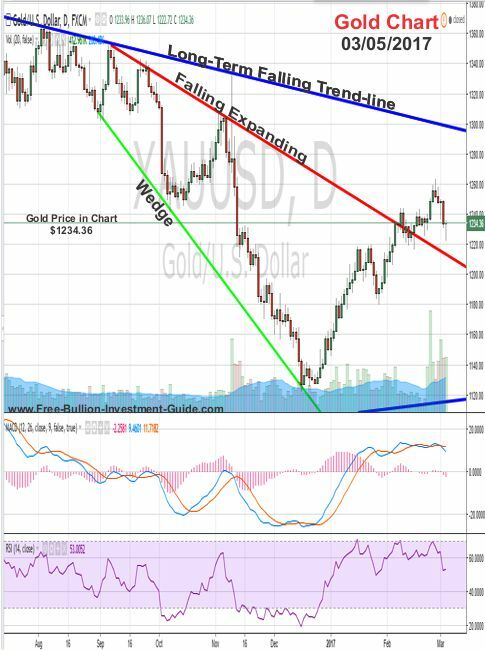 Gold hasn’t touched its falling trend-line yet, but it may. 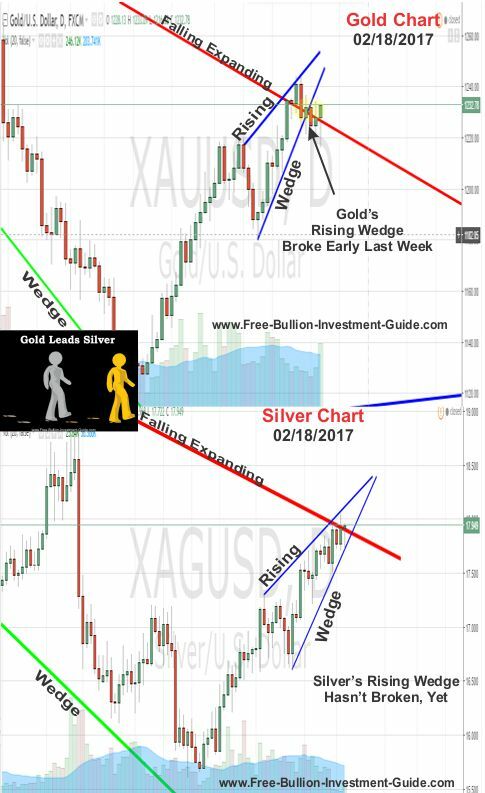 What I’ll be paying attention to this week is to see if gold and silver stay above their falling trend-lines because if the trend-line is broken, it will destroy the falling expanding wedge's pattern and its bullish expectations. Thank you for your time and I hope you have a Great Week.